INSPIRED IMPACT™ is an ongoing blog series that gives voice to social entrepreneurs and leaders of purpose-driven organizations who are making an impact in their communities, industries, and aroPreview (opens in a new tab)und the world. 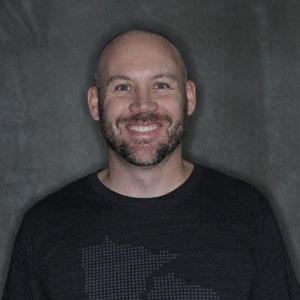 Mike Scheid is the VP of Marketing and Operations of Swoovy headquartered in Austin and Denver. Follow them on Facebook, Twitter, Instagram, and LinkedIn and learn more at swoovy.com. Swoovy connects the world of online daters looking for meaningful relationships and sends them on a date to volunteer together. Not only do they meet a new person, but they also get connected with nonprofits. We help singles match with and meet other single people who are more interested in doing good than swiping right. Then they choose a date, and with Swoovy, their first date is a volunteer opportunity. Finally, they book a date from our list of events with partner organizations. We want to increase volunteerism across our community and bring people together in meaningful ways. With dates based on volunteering for others, singles are setting a foundation for a great relationship. Even if they’re not “the one,” they have spent time with another decent human being doing something good. I met my wife more than 25 years ago while volunteering and I have seen many others make a lasting and meaningful connection when serving others together. We are leveraging technology to facilitate more of these meaningful connections. Swoovy launched in Austin just four months ago and already has nearly 1,000 users engaging and going on dates putting in hundreds of volunteer hours. The good has already begun. I am inspired every day by the amazing people I meet in our community. I have seen so many who are out there doing good. One thing I love about what we do at Swoovy is how we bring people together. Whether is it singles connecting in real relationships or nonprofits, I believe strongly we can do more together than we ever could on our own. I believe Swoovy can reach an entirely new demographic for volunteerism and bring many who may not have volunteered otherwise to nonprofits. I want to see this happening in communities all across the world. Our greatest need is to get the word out to singles, nonprofits, and investors. For singles: We need a minimum viable community to launch in a community so the experience is positive. Please use this link to sign up and express your interest, the more response we get the sooner we can add Denver to the Swoovy community. For nonprofits: We are hosting a lunch on April 8, 2019, that you can sign up to attend or learn more at denver.swoovy.com. We will be doing a product demo and looking for early partnerships. For investors: We are seeking angel investors who want to see the mission of Swoovy come to fruition. For interested parties email me at mike.scheid@swoovy.com. Helping singles get over the difficulty of putting themselves out there and taking the step to send the invite. The good news with Swoovy is that the details are taken care of and you instantly have something to talk about because you are out volunteering. We can do more together than we can on our own so get out and take that first step while asking others to join you. Please express your interest and support at denver.swoovy.com.